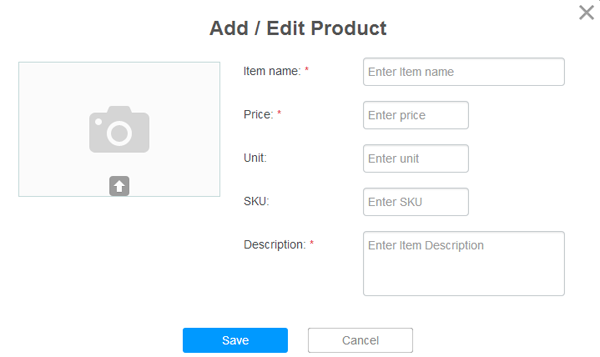 If you would like to sell any goods via the app, our Shopping cart can help you in this. 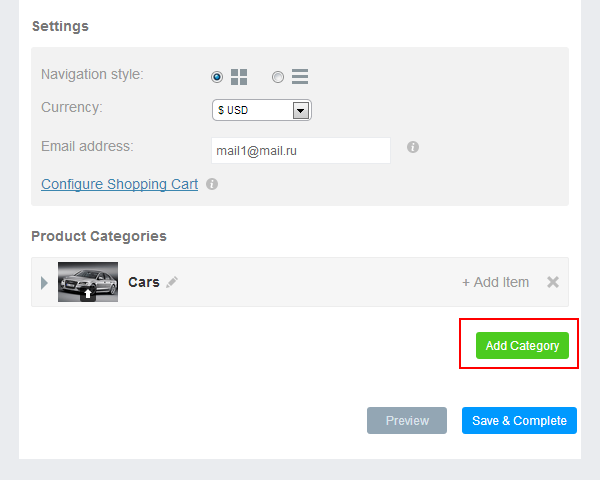 Your users can create orders and send those to the email you specify. 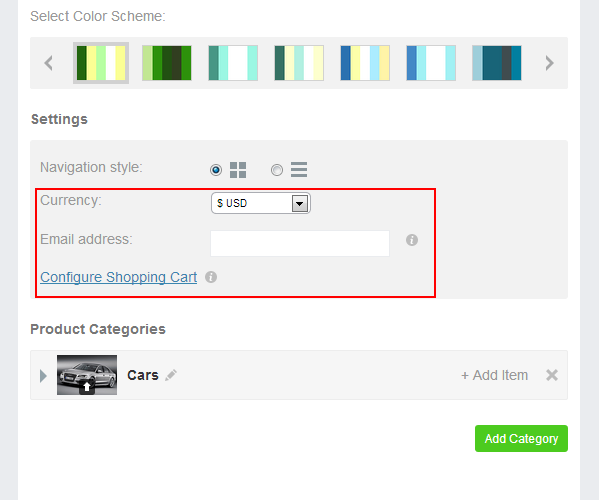 To insert the Shopping Cart widget into your app choose, it in the change widget popup. NOTE: if you enter wrong email you won’t get any orders from your users. 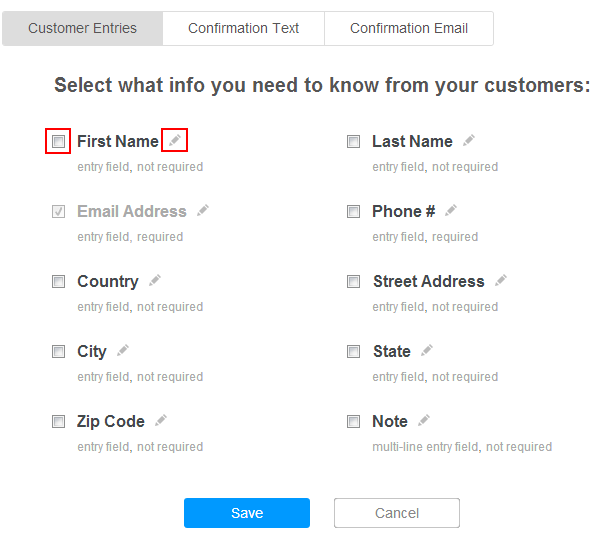 Customer Entries - before a user makes an order, they have to provide their contact info. You can choose what information you need your customer to provide (name, email, phone number, shipping adress). 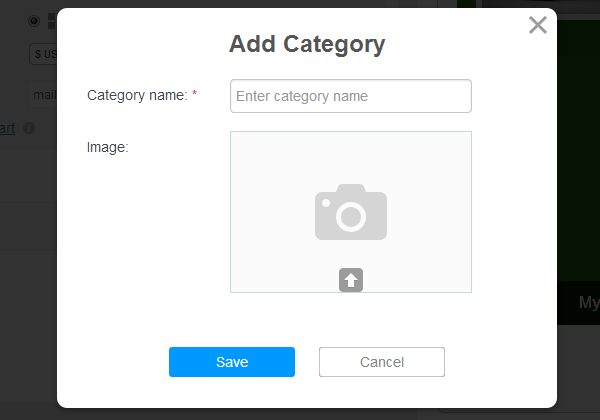 To activate any of the fields check the box on the left. If you need to change or translate a field name click "Edit" on the right. 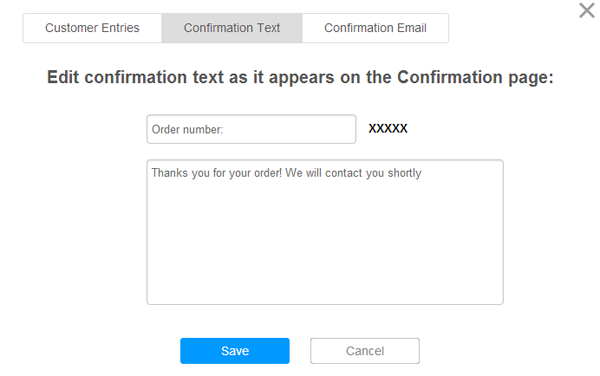 Confirmation Text - when a user submits their order they will receive a confirmation message via text message. This message will contain the order number and status of the order. Enter your own text if you need to provide your users with any extra info or you need translation, or just leave it as is. NOTE: order numbers can’t be customized. It starts with 1 and grows with each order. 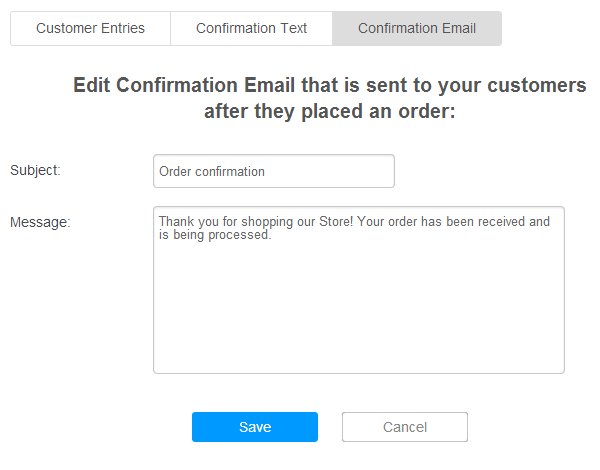 Confirmation Email - each order should be confirmed with an email. Create your own confirmation email. To add new items to a category, click "+Add item". Unit - pieces, gramms, kilos etc. That’s it. Now you are ready to sell your goods.